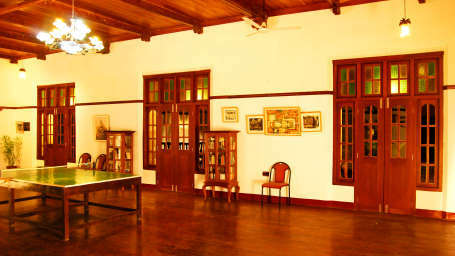 Hotel Rossitta Wood Castle Cochin is the age-old mansion of a European family that is now open to tourists. 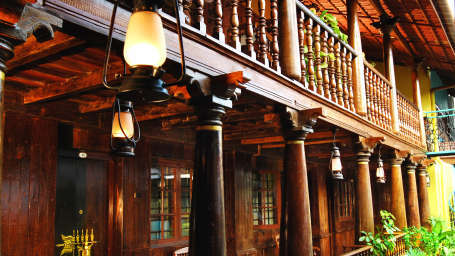 Seeped in history, this heritage hotel in Cochin takes you back through time with its teakwood flooring, high wooden ceiling, winding staircase, huge European windows and more. 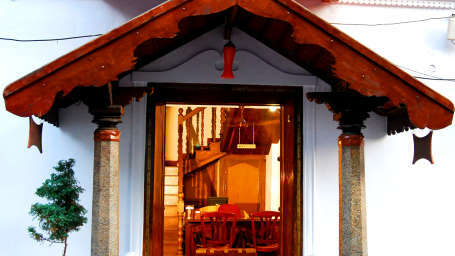 Located on Rose Street, Fort Cochin, between Vasco Da Gama Church and Fort Cochin Beach, this heritage hotel in Fort Cochin is a warm little inn whose stonewalls narrate tales from the pages of history. 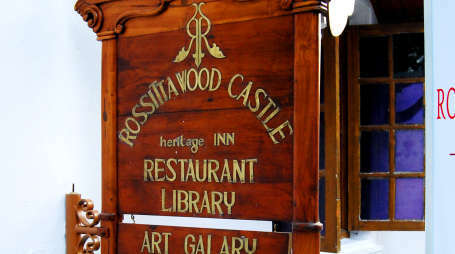 Hotel Rossitta Wood Castle Cochin offers something for everybody - good food, heritage rooms, a cosy library, and an art gallery. 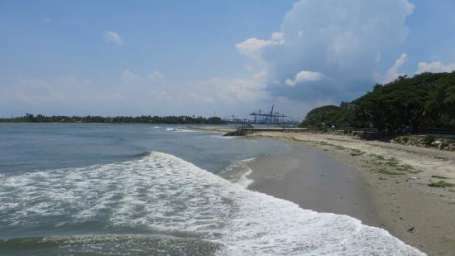 The hotel is known for serving the best seafood in Cochin in its restaurant, Rossitta Restaurant. 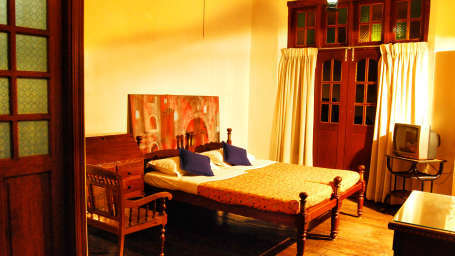 This heritage hotel in Cochin offers the best hotel rooms in Fort Kochi near Mattancherry. The Rossitta Garden restaurant is set in an open courtyard and offers an enticing menu that is a blend of traditional Kerala delicacies, exotic Italian pastas and divine desserts. Tourists who love to relax with a book can head to the cosy library that houses a number of books for bookworms. Art lovers should check out the quaint paintings that are displayed in the art gallery. If this is not enough, head to the games room to play table tennis or just stroll to the Fort Cochin Beach that is just a walk away from the hotel. 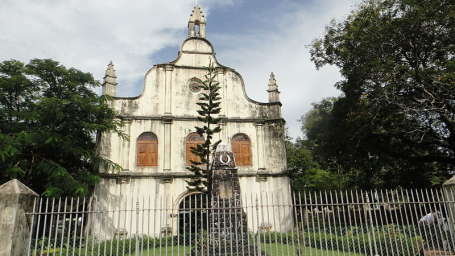 Tourist places like St. Francis Church, Jewish Synagogue, Mattancherry, etc.,are near the hotel. Hotel Rossitta Wood Castle Cochin is the proud recipient of Tripadvisor Certificate of Excellence award in the past and has been rated "Bravo" by many travellers.